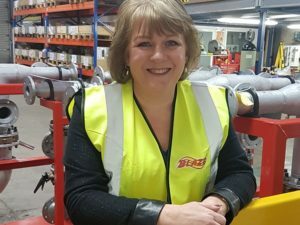 Blaze Manufacturing Solutions has partnered with Aberdeen-based RigDeluge to become the first UK supplier of their award-winning fire safety products. RigDeluge offer a line of products aimed at improving the safety and efficiency of deluge systems and are the innovators of CFT™ Adaptors, part of the company’s Free Flow Nozzle Technology™. 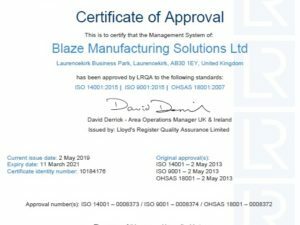 The products will complement the range of technical fire protection, detection and loss prevention services already offered by Blaze to the oil and gas, renewables and mining industries. Blaze will be supplying, as part of an overall solution, the RigDeluge award-winning rig cooling/heat suppression deluge nozzles which have been specifically designed to work with the EverGreen burner head, introduced to the oil and gas industry in 1998 to reduce the environmental impact of emissions during well test flaring operations. 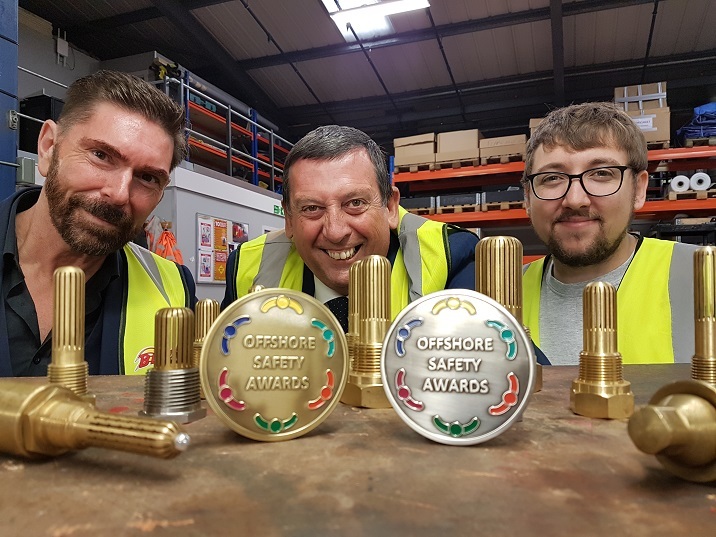 RigDeluge were awarded the Innovation in Safety accolade at the Offshore Safety Awards in August for the development of the CFT™ Adaptors. 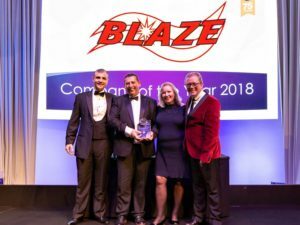 RigDeluge Managing Director Ian Garden said, “Bringing fire safety companies together to make our industry a safer place to work is a common goal of both RigDeluge and Blaze. Listening to the operators and providing them with bespoke solutions to solve their problems at the best price possible will ensure a tailored solution for each asset. 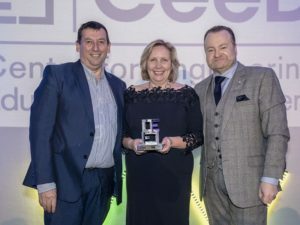 Blaze Managing Director Howard Johnson said, “We are delighted to be working with Ian and RigDeluge to offer solutions aimed at improving safety both offshore and onshore. “2018 marked 30 years since the Piper Alpha disaster and despite the improvements made from Lord Cullen’s report on the incident, there still remains many challenges for the industry.